Harvest Evangelism (H.K.) Ltd Mentors Marketplace Christians to walk in Transformation with the Mentoring Course designed by Dr. Ed Silvoso which consists of practical life-giving and equipping teaching to help Marketplace Christians to walk out their calling to transform their sphere of influence in Education, Business and Government. Harvest Evangelism (H.K.) Ltd trains and mentors Marketplace Christians through Seminars and Conferences where leaders with proven track record in transformation in different spheres come to teach and mentor. Harvest Evangelism (H.K.) Ltd leads groups of Pastors and Marketplace Ministers to Regional Transformation Conferences organized by Regional offices of Harvest Evangelism and to our Annual Global TransformOurWorld Conference to see first-hand the transformation in other cities and regions, to meet transformation leaders and practitioners of other nations and cities and to learn from their teaching, practical experience and to hear firsthand their transformation stories. (1) Models of Transformation in Church; (2) Transformation of District; (3) Transformation in Schools; (4) Transformation through Intercession that changes the Spiritual Climate. 2. Harvest Evangelism (H.K.) Ltd supports and assists Marketplace Business leaders to build Kingdom Businesses through its teaching in this sphere and the support and store of experience of its global and local network of Business Leaders who lead and build Kingdom Businesses. 3. Harvest Evangelism (H.K.) Ltd supports and assists School Principals and School Boards to build Transformation in Schools through the experience and teaching of members of its global team and leaders of transformation in education in its global network. We also train teachers to teach a curriculum that equips children to become world changers even when young. 4.Harvest Evangelism (H.K.) 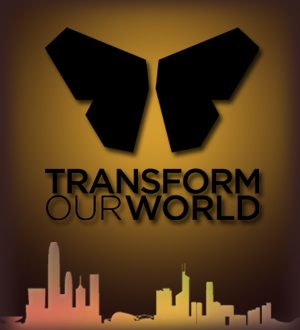 Ltd teaches and supports Marketplace Ministers and Leaders of the HK TransformOurWorld Network Core Team to live out in practice the principles and teaching of transformation to build transformation prototypes in their spheres of influence.